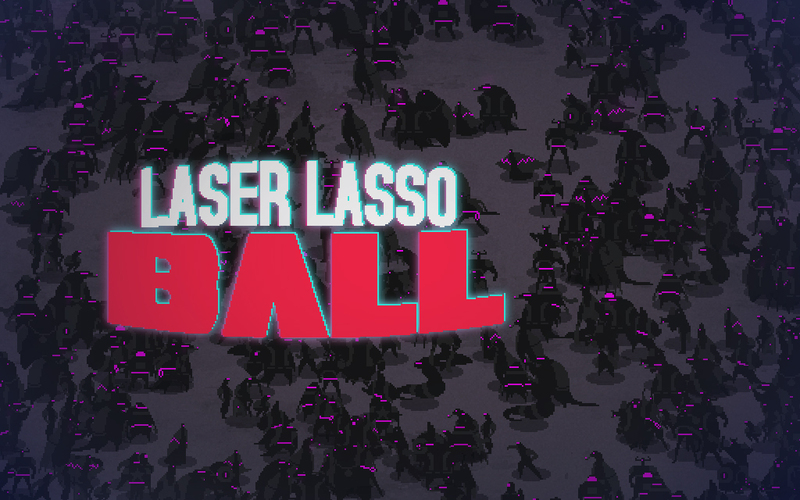 Laser Lasso BALL is a fascinating fighting game with great graphics and fun gameplay for those who think they would like to play a more deadly version of volleyball. The basic objective of this game is to kick the ball away from you and kill your enemy before he manages to smash your head with a ball throw so fast it can break rocks. Basically. Although the game is initially fun, there aren’t many things to discover once you figure out the basics. First of all, I would like to point out that this game definitely looks astonishing. The visuals remind me of Party Hard, mostly because of the contrast between the dark colors and the bright neon colors. The brightest part of the screen is obviously the ring in the middle. I’m also a big fan of the effects of the game on the crowd surrounding the two players. When either one of the players or the ball is thrown out of the ring, they hit the crowd with force and leave behind a whole bunch of bodies. The gameplay itself is quite entertaining. After I figured out the controls, I had a lot of fun playing. It takes a little while to understand the mechanics and to get used to spinning around the center all the time. You can either play against your friends locally or against the computer. The virtual opponent can be really really difficult to play against, I’ve only won a handful of matches against it. Although the game is really entertaining, I realized after playing for a while that there is a surprisingly small amount of content available for the player to discover. No matter how much you play, you won’t get any new skins, new skills, new arenas, nothing. There is no storyline at all to make things more interesting. I really have mixed feelings about these because I never felt bored at all, but I always had a feeling that something was missing, that there should be at least something to explore and unlock. The soundtrack is definitely amazing, it was written by a fella called SLOTHFELLA. The music is fast-paced electronic music with a hint of futuristic sounds. I’m a big fan of it as it really fits the gameplay and especially the graphics. It’s a shame there isn’t a soundtrack DLC available on Steam. Above, I talked a bit about how I needed some time to get used to the controls. At first, they are really counterintuitive, so I wish there was an option to switch the left and right key. The up and down arrows to move towards and away from the center are fine as they are quite obvious. I’m also quite surprised that this game lacks a proper options menu. Personally, I know that Alt+Enter switches between windowed and fullscreen mode, but not a lot of people know that. If you want to change the music volume, you first have to start a game and then use the pause menu to change the volume there (and that is a really important thing to do because the music is unusually loud in this game). 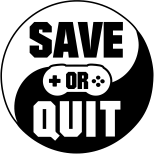 Another challenge for the player is to find out how to enter the pause menu at all. When I tried to do that for the first time, I was really shocked when I discovered that the Escape key doesn’t do a thing is this game. Who thought this would be a good idea? After pressing a bunch of keys and giving up, I pressed Alt+F4 to close the game. Then, I reopened it and checked out the tutorial to see how to do that. Apparently, it was the P key I needed to press. The problem with keybinds doesn’t end there. The game makes absolutely no effort in explaining how to let a second player join the multiplayer game on the same keyboard. Me and my brother wanted to play on the same keyboard and we needed to press all of the most common keys to figure out which one lets the second player join. The last time we had to do that was when fifteen years ago when none of us spoke English and we couldn’t understand what the instructions were saying. This time, there weren’t any instructions at all. Apart from that, there isn’t much to tell about this game. It does have achievements, which is nice. I wish there was an online multiplayer mode, it would’ve been really neat to play this with my online friends. Although this game suffers from of a certain amount of bad design decisions (weird keybinds, no options menu, insufficient tutorial), I found the game really enjoyable. I had a lot of time playing the game once I figured out how to actually play properly. There is certainly a lack of additional content in terms of unlockable skins, maps, game modes and other things. I think that $4 is quite an appropriate price for a game like this and I wouldn’t mind them bumping it up for an additional dollar if they fixed all the flaws of this game and maybe even added the online multiplayer mode.